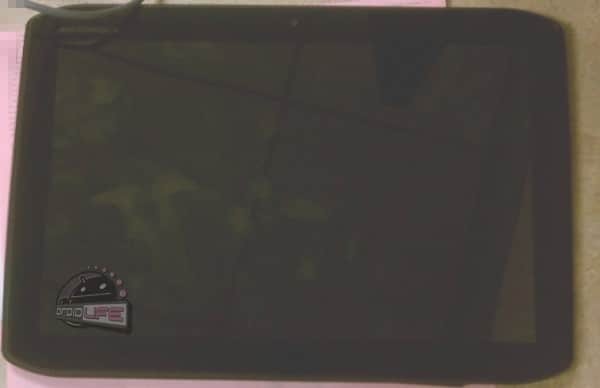 What you see is a picture of the Motorola Xoom 2, according to Droid-Life and sources who leaked the image. Sources told Droid-Life the Xoom 2 is similar to the Xoom 1, features an HDMI and micro USB port on the bottom, a LTE SIM card, and flush buttons on its back. Droid-Life mentioned that it has a 10.1 inch screen with a front camera, and HD rear camera.